Last month marked the third anniversary of Laudato Si’, an encyclical written by Pope Francis on the importance of environmental efforts and the need to protect our common home. This year, the Pope emphasized the need to work with young people and indigenous peoples to “foster an integral ecology.” In honor of the International Day of the World’s Indigenous Peoples, August 9th, we are delving into how these communities are disproportionately impacted by climate change. 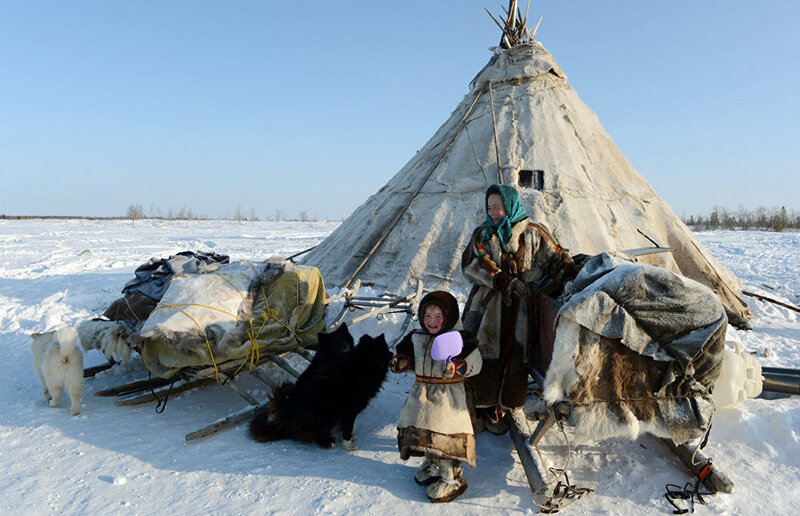 Indigenous family in the Arctic region of Russia. Indigenous peoples are among the first to feel climate change effects, given their reliance on natural resources and ecosystems. This can include marginalization, loss of land or resources, human rights violations, changes in rainfall or temperature, discrimination, and unemployment. Communities in the high-altitude regions of the Himalayas are facing water issues, as they have more water in the short term due to glacial and snow melt, but less in the long term. Indigenous peoples in the Arctic are being forced to relocate due to melting permafrost and rising sea levels; however, this movement is becoming increasingly dangerous due to unpredictable weather patterns and melting. Additionally, as species distributions change due to rising temperatures, they lose traditional food sources, including walrus, seals, and caribou. In Africa’s Kalahari Basin, communities are faced with rising temperatures, dune expansion, increased wind speeds, and loss of vegetation, all of which negatively impact traditional farming practices. This is causing increased dependence on government programs. Additionally, they are facing displacement from the creation of the Central Kalahari Game Reserve, loss of vegetation leading to greater heat impacts, and the spread of disease such as malaria and cholera. Members of the Penan community in Malaysia. The Penan, and other groups, in Malaysia are being forced off their land to allow for hydroelectric dam construction. Similarly, the Guarani in Brazil are losing land for sugarcane production, which will be turned into ethanol to be used as an alternative fuel source. 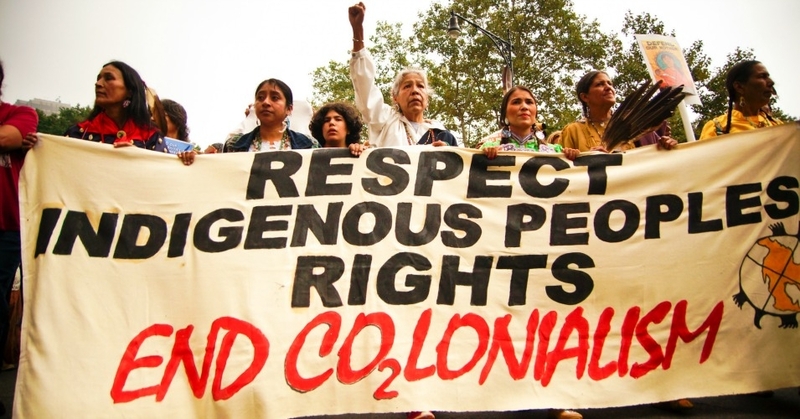 Indigenous communities are not significant producers of greenhouse gases. However, they can provide key roles in mitigating deforestation and fossil fuel excavation, given the high quantity of these resources on their lands. It is estimated that indigenous peoples help protect 80% of the world’s remaining biodiversity. Due to their traditional knowledge systems, indigenous communities are vital to understanding climate change impacts. In the Solomon Islands, indigenous knowledge is being used to develop early warning systems for potential natural disasters. Nepalese farmers are utilizing indigenous seed storage techniques to reduce loss of seed diversity and protect against food shortages. The Finnish Sámi being unable to protect their land against an Arctic railroad project. 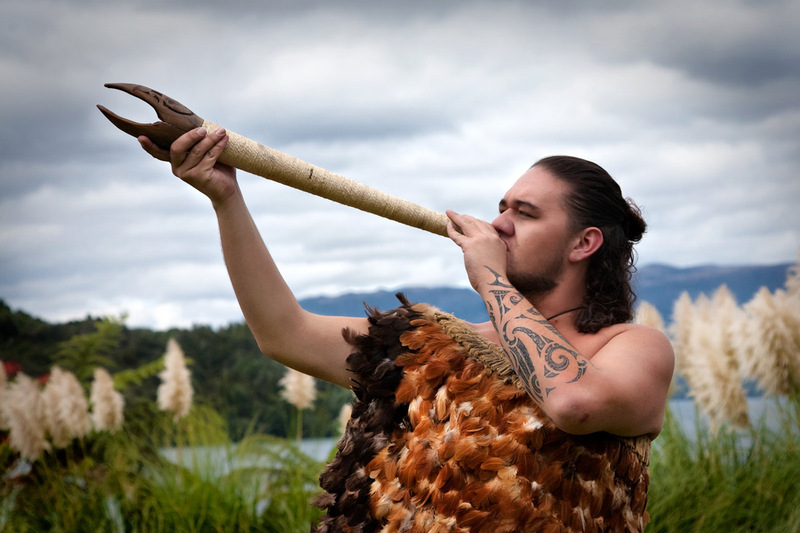 Maori member in New Zealand. The New Zealand government continuously seizes Māori natural resources (such as natural gas, oil, iron, silver) and currently denies the community’s right to fresh water. The Crimean Tatars face oppression by the Russian federation and youth from their community claim they are questioned and arrested daily. The Ryūkyūans, living in Okinawa in Japan seek their own rights and freedoms under the Government’s constitution. The Ethiopian government silences the Ogaden people; representatives from that community fear future genocide. The International Indian Treaty Council state that 30,000 indigenous people are incarcerated in 23 of the United States. They face harsher sentences than non-natives due to mandatory minimum sentencing laws. The Green Climate Fund released an Indigenous Peoples Policy to better incorporate indigenous rights into decision-making processes in regards to climate change and adaptation. This will hopefully aid in the economic, societal, and political enhancement of these communities. The Inter-American Development Bank also approved a project to specifically assist communities in the Amazon with respect to climate change impacts, including deforestation.